San Francisco-based Financial Title company filed notice of a trustee's sale of Michael Jackson's Neverland Valley Ranch, CNN reports that the self-proclaimed "KING OF POP" is working out financial details to keep the property. An auction had been set for march 19 at the Santa Barbara Country courthouse. 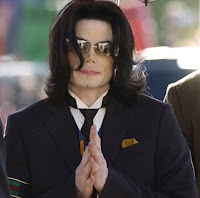 Michael left Neverland in 2005 after being found not guilty of child molestation charges. He reportedly owes more than $24 million on the Estate.